At English Martyrs’ Catholic Primary School we strive to be a caring, sharing and friendly school by treating every stakeholder as equals regardless of creed, background or social standing. 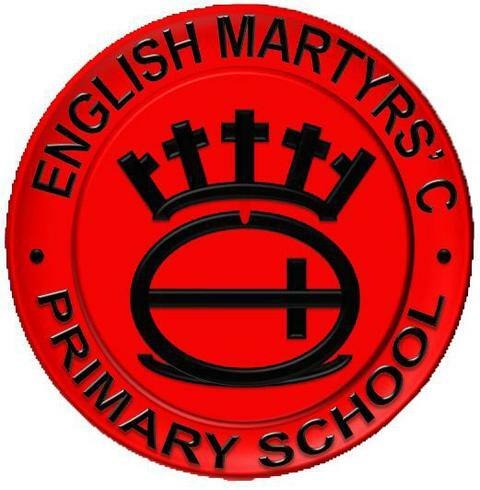 …to have Christ at the centre of English Martyrs’ Catholic Primary School family and all that we do. …to establish close links between home, school and parish to provide the best for all the children. …to treat every individual child as a unique and valued member of God’s family, so that respect for each other is centred on the Gospel values of justice, peace and forgiveness. …to develop the talents of all pupils and prepare them for the changes, responsibilities and challenges of life. …by planning and delivering an exciting and enriching curriculum including extra-curricular activities to ensure there is provision of a rich variety of learning opportunities. …by providing work for the individual child with appropriate challenge and differentiation to meet the needs of all. …by using assessment, marking and feedback to inform, develop and enhance future teaching and learning, tracking individual progress so that each and every child can reach their full potential. …by providing professional development opportunities for all staff to develop. …by having high expectations in all we do. …by developing our responsibilities as citizens in the local, national and global community. …by giving children opportunities to develop understanding and tolerance of all faiths, creeds and cultures including their own. …by developing positive links between all stakeholders including the wider community. …by working with parents in their role as first educators. ‘English Martyrs’ School is a loving, caring community. We have high expectations and our children make great progress. We embrace and celebrate our diverse intake and recognise each child’s individuality. ‘At English Martyrs’ we are committed to learning, loving and living through our Catholic faith, following in the footsteps of Jesus Christ. ‘English Martyrs’ is a unique, supportive and inclusive family. Through a nurturing and creative environment, we encourage the spiritual and holistic development of every member in our community.